Guitars lovers now is your chance to climb the stairway to heaven to the Graham Gillot Band’s performance of “Guitar Legends” Thursday, November 5, 8:00pm at the Center for Performing Arts Bonita Springs’ Hinman Auditorium. 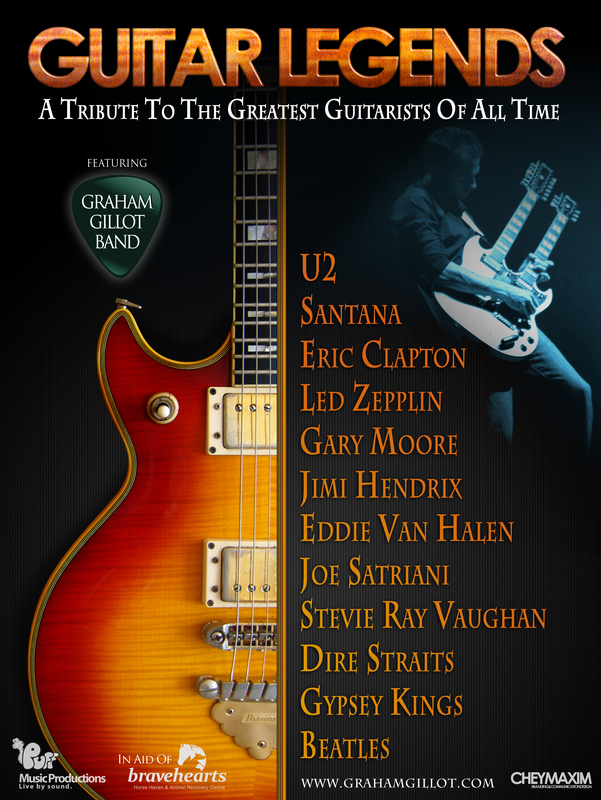 The Guitar Legends Show features the music of the world’s greatest guitarists of all time: Jimi Hendrix, Stevie Ray Vaughn, Gary Moore, Jimi Page (Led Zepplin), Eric Clapton, The Edge (U2), Eddie Van Halen, Joe Satriani, Mark Knopfler (Dire Straits), George Harrison (The Beatles) and even the Gypsy Kings. 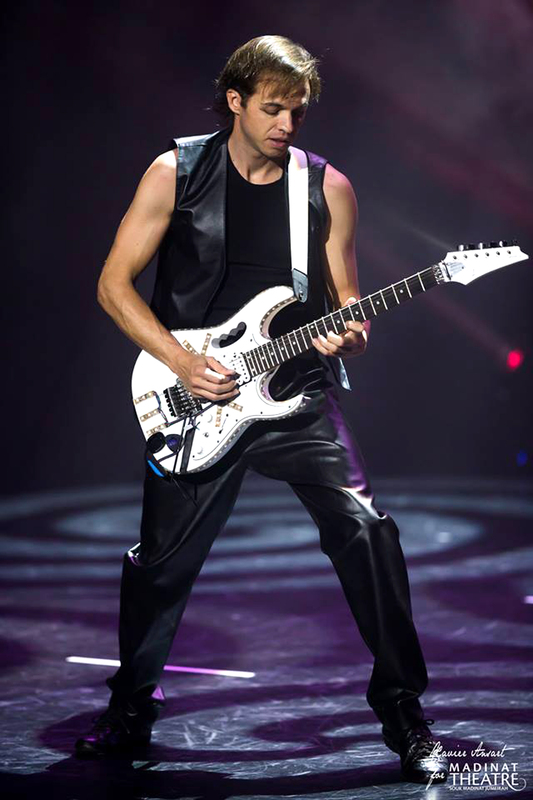 Gillot has performed in shows, festivals, theatres, concerts and stadiums internationally around the world including the US, UK, Dubai, Turkey, Spain and South Africa. After accomplishing a study record by obtaining Grade 8 Classical Guitar in just two years of study through Trinity College London, he is considered to be a new century guitar maestro. 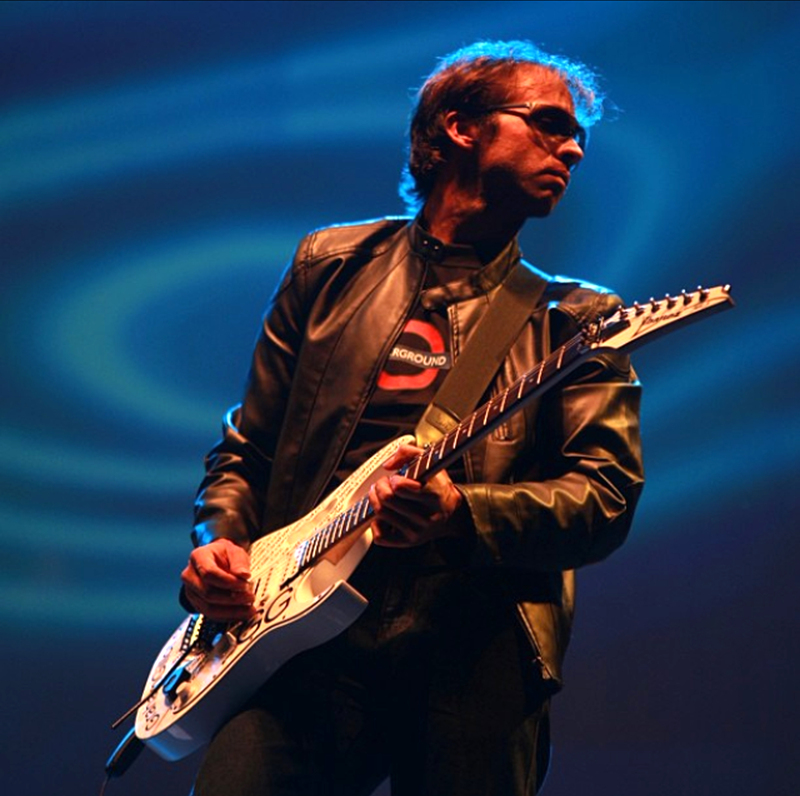 Graham has written and composed several albums with hit singles on radio and featured on various compilation albums. Tickets for “Guitar Legends,” are $40 for Premium Seats, $35 Center Seats and $30 Side Seats. Tickets may be purchased on-line at http://www.artcenterbonita.org, by calling 239-495-8989 and at the door 30 minutes before the performance. The Centers for the Arts offers a full performance and film series including “Improv Tonight,” November 7, 8:00pm, “Night Train 1950’s Dance Party,” November 12, 8:00pm, “Acoustic Storytellers – Music & Stories from Around the World,” December 3, 8:00pm and “Films for Film Lovers” foreign and independent film series on Monday evenings. Tickets for all of the events listed can be purchased at http://www.artcenterbonita.org or by calling the Centers for the Arts Bonita Springs at 239-495-8989.